Do you live in an area that has high humidity or experiences cold temperatures? If you drive a car, then you may be really familiar with having a windshield that is foggy. A foggy windshield will easily make a car difficult to drive, you can use a lot of ways to stop car windows from fogging up. One of the best ways to stop car windows from fogging up is to use cat litter. This is the same stuff you may already use to soak up oil or some spilled gasoline. 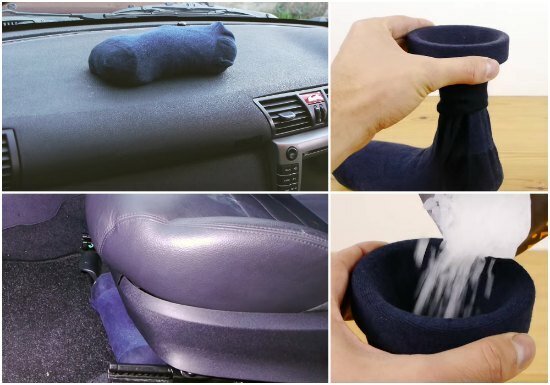 The way this trick works is by removing all of the moisture in your car on humid or cold days when you turn on the heater. An old sock and a non-dust cat litter are all you need to stop car windows from fogging up. This can be a perfect gift if you plan to use another type of fabric for the project and personalize it a bit.